There is no doubt that the demand for 4 gauge welding cable is very large. In order to meet the requirements of the wire, Huadong Cable Group provides a lot of 4 gauge welding wire for our customers. If you are also interested in our low price 4 awg welding cable, you can leave your message. And we will send the best 4 gauge welding cable quotation to you. How to provide high quality 4 gauge welding cable? The last item is the completion inspection. We do not allow unqualified products to enter the market. If you are looking for high quality 4 awg welding cable, feel free to choose Huadong. 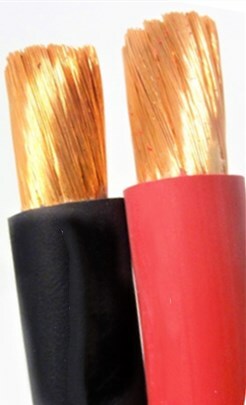 You know that we have own plant, and we sell 4 gauge welding cable directly. That is to say, if you choose Huadong, you can get the best 4 awg welding cable prices. Just send your inquiry. How to protect your 4 gauge welding wire? Please feel free to leave your requirement. We will reply you within 12 hours. Office: Nanpu international center,Jinshui dustrict, Zhengzhou City, Henan P.R. China.